Sindhudurg Fort (Sea fort) is an extremely popular historical heritage in Malvan, district Sindhudurg. This spectacular sea-fort was given life by the Maratha King, Chatrapati Shivaji, the famous one who has been a popular name in the Maharashtra state, ever since. This fort is located on Kurte Island which is nearly half a km away from the Sindhudurg District’s Malvan Jetty. You can reach the fort with ease from jetty traveling by small wooden boats. These boats have attached outboard engine. Two to three person assists you at the time boarding as well as departing from boat. Life jackets are compulsory provided to each and every passenger. During the Indian festivals, like Shivaji Jayanti, Ganesh Chaturthi, Mahashivratri, Ram Navami etc, the fort is visited by countless travelers and local people. The magnificent Sindhudurg Fort was built over a time span of three years and interestingly, more than a 100 architects came in from Portugal to give the fort, its amazing structure and a marvelous architecture. The fort was built and gained importance under the famous ruler of Maharashtra, Shivaji – the great Warrior. 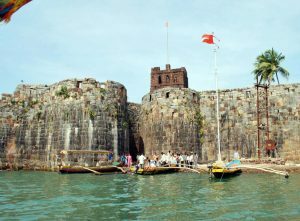 This fort is incessantly one of the major attractions in Malvan. 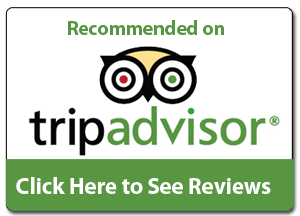 There are many underwater sports activities like scuba diving that are conducted for the tourists at the Fort; while people from all across the globe visit here to see a one of its kind coconut tree that has branches with fruits on them.